Roadrunner Records group Coheed and Cambria have unveiled a third new track from their highly anticipated new LP, THE UNHEAVENLY CREATURES. “The Gutter,” an explosive six-minute operatic rock jam, is streaming today alongside an exclusive interview with frontman Claudio Sanchez at Rolling Stone HERE. THE UNHEAVENLY CREATURES arrives worldwide on Friday, October 5th. Coheed and Cambria’s new studio album THE UNHEAVENLY CREATURES is available for pre-order HERE, with all orders receiving instant grat downloads of “The Gutter” alongside the recently released new tracks, “Unheavenly Creatures” and “The Dark Sentencer.” In addition, a limited vinyl edition of the LP entitled “THE UNHEAVENLY COLORWAY’ will be available for pre-order beginning August 20th exclusively viawww.coheedandcambria.com. The vinyl package will be available in three colours, with each colour representing a different character in THE UNHEAVENLY CREATURESconcept arc. Pre-orders are also currently underway for the deeply immersive VAXIS – ACT I: THE UNHEAVENLY CREATURES – LIMITED EDITION DELUXE BOX SET, which includes an exclusive 88-page hardcover illustrated sci-fi novel with strikingly realistic colour imagery by Chase Stone, as well as the complete Act 1 novella written by frontman Claudio Sanchez and his wife, Chondra Echert. The box set also houses a fully wearable hard-plastic mask of the main character in THE UNHEAVENLY CREATURES, a CD of the album, as well as the exclusive bonus album, The Crown Heights Demos, showing the songs in their original written form. Additional items include a three-panel fold-out poster of expanded album cover art and the Unheavenly Creatures Black Card which will allow all card holders early access to tickets and early entry to Coheed and Cambria headline dates. For more information on VAXIS – ACT I: THE UNHEAVENLY CREATURES – LIMITED EDITION DELUXE BOX SET, please visit coheedandcambria.com. 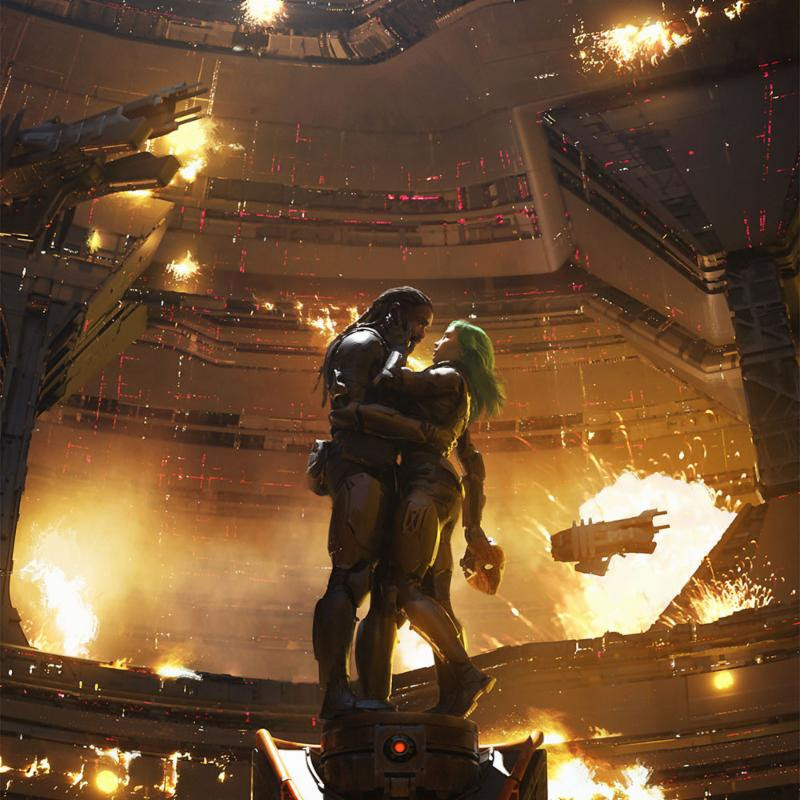 Boasting 15 songs over 78 minutes, THE UNHEAVENLY CREATURES marks Coheed and Cambria’s furious return to concept albums, the ‘First Act’ in a brand-new story arc set within the backdrop of The Amory Wars universe. 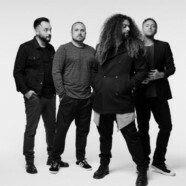 The LP was heralded earlier this summer with the arrival of its title track, “Unheavenly Creatures,” joined by an official video, streaming at the band’s official website HERE. Directed by P.R. Brown, “Unheavenly Creatures” takes us inside the story’s opening chapters where we see two captured criminals (Creature and Colossus) being walked through a ship on their way towards judgement for committed against society, and perhaps, one another. The video premiered via an exclusive interview with Sanchez at Marvel.com; Sanchez also joined Marvel’s weekly podcast, “This Week In Marvel,” for an extended discussion of THE UNHEAVENLY CREATURES and much more, streaming HERE. Coheed and Cambria have announced a headline UK tour this October, with Californian progressive group, Chon, as special guests. Tickets are on sale now and VIP packages can be purchased at coheedandcambria.com.